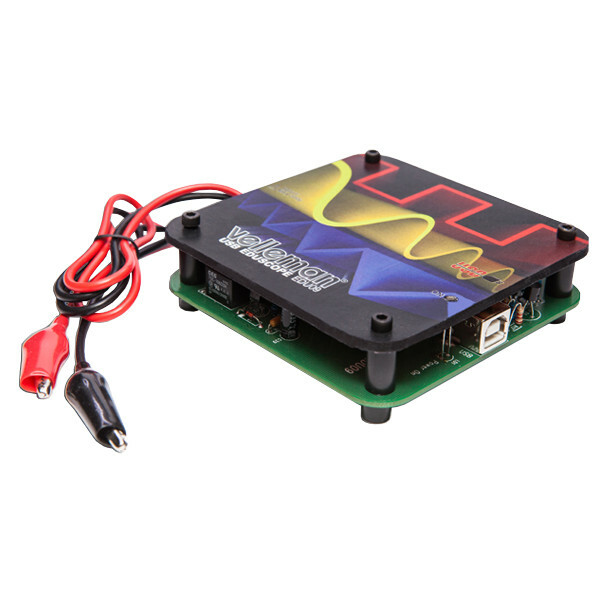 The Educational PC Oscilloscope Kit uses hooks up to your PC's USB port for display using a Windows app. 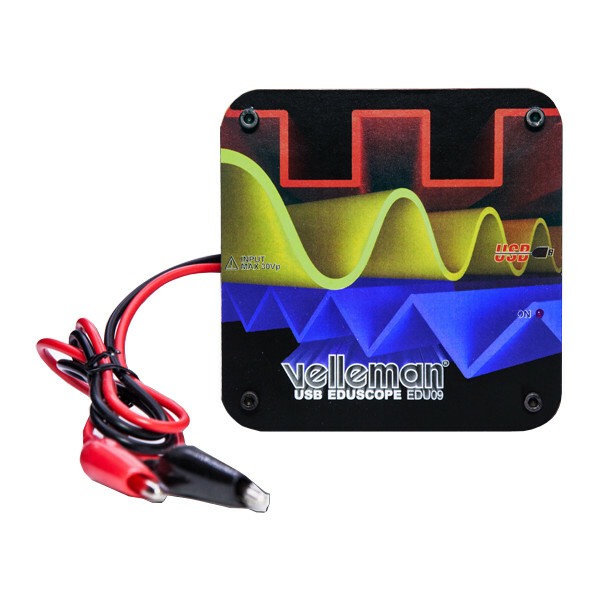 This educational oscilloscope kit is packed with great features to assist with debugging you electronic wizardry. Plug it into your PC's USB port and run the associated Windows program to begin taking measurements. 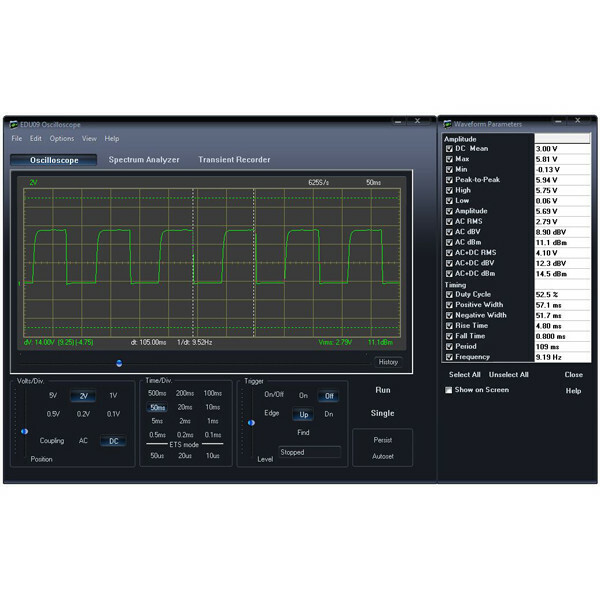 The oscilloscope has maximum DC bandwidth of 200 kHz and supports input voltages up to 30V with a 3mV display resolution. The Windows PC software provides readouts of true RMS, dBV, dBM, duty cylcle, frequency and more. It can record a thousand samples and supports sampling rates from 62.5 Hz to 1.5 Mhz. 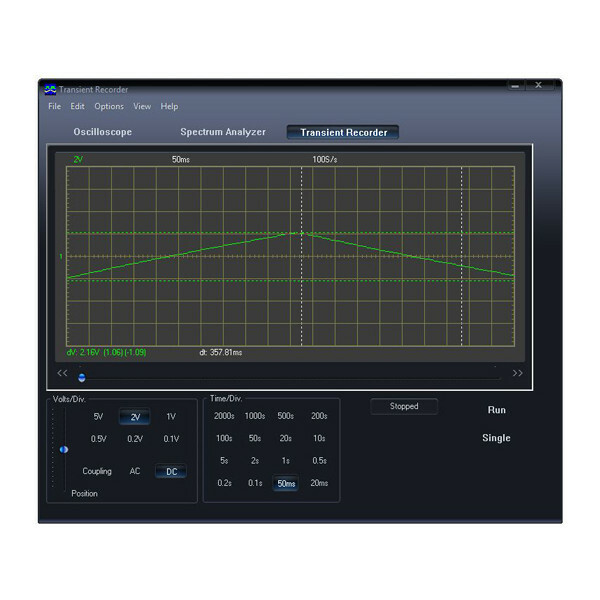 It also offers spectrum analyser and transient recording functions. 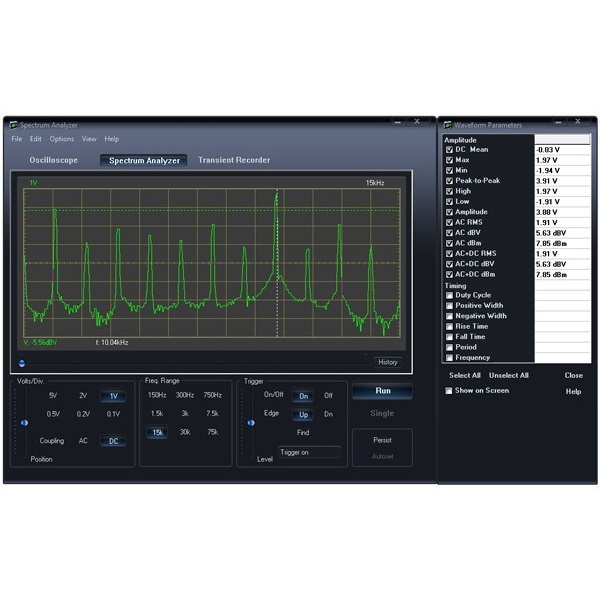 The software features expert or basic modes to assist with learning oscilloscope fundamentals. This is an electronic kit with through-hole parts that requires intermediate soldering skills. Power is supplied via the USB connector at about 200 mA. The software requires a PC with Windows XP, Vista, 7 or 8. A set of test leads is included.